Discussion with French critic & film educator Alain Bergala | D.A.R.E. 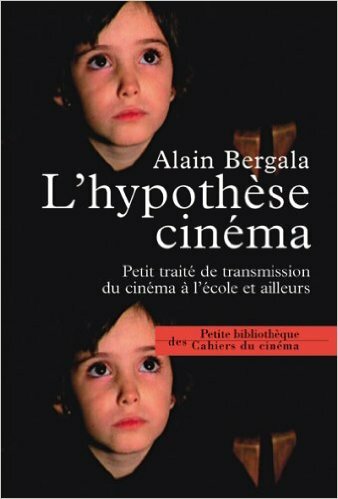 To celebrate the English translation of Alain Bergala’s book The Cinema Hypothesis: Teaching Cinema in the Classroom and Beyond (2016), the BFI hosted a free discussion event on Friday 03 February 2017 at BFI Southbank. Alain Bergala, Professors Andrew Burn (UCL Institute of Education) and Katren Lury (Glasgow University), and Alejandro Bachmann (Austrian Film Museum) discussed issues of film education theory, practice and culture in Bergala’s original text from 2002: L’hypothèse cinéma: Petit traité de transmission du cinéma à l’école et ailleurs. Newly translated into English by Madeline Whittle, The Cinema Hypothesis is at once an outline of a philosophy of film education, a memoir of a ‘childhood in cinema’, a cultural history of film policy in France, and a practical guide to engaging young people in film.